Perhaps you’re nervous about that upcoming root canal appointment or maybe you’re not sure if you need one. 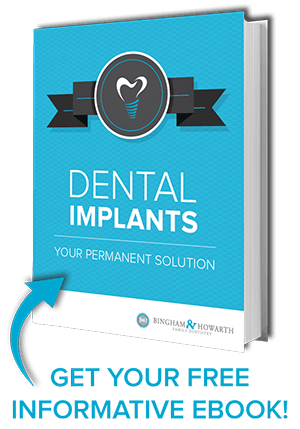 At Bingham and Howarth Dentistry, we have the skills and knowledge to make you feel informed about everything when it comes to your smile. 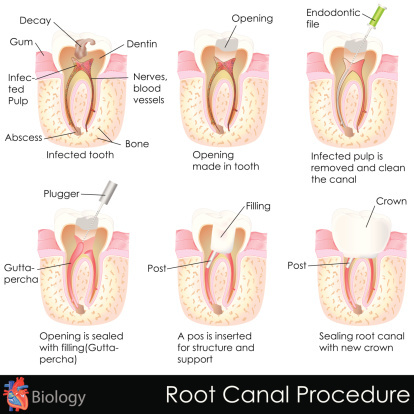 So take a look a look at our new Root Canals page and read below to learn more. Answer: Typically some tell-tale signs that you’re in need of a root canal include: a severe toothache, pain while chewing, along with a swelling and tenderness of the gums near the tooth.Other symptoms can include a tooth that darkens in color, or teeth that continue to experience prolonged sensitivity to heat and cold long after the beverage is consumed. If you’re experiencing any of the issues or are unsure about the condition of your oral health, the best plan of action is to seek the professional expertise from your dentist right away. Much can be done to help prevent the need for a root canal in the first place. Develop good oral health habits, and make it a practice to wear a protective mouthguard while participating in high impact sports or activities. Contact your favorite Tulsa dentist today for all your dental needs. We look forward to hearing from you soon. Have you ever suspected someone of faking a toothache to get out of school, work, or some other commitment?